John V. Porter was born and raised in Paintsville, Kentucky. After graduating from Paintsville High School, Mr. Porter attended the University of Kentucky where he earned a Bachelor's Degree and Juris Doctor Degree. 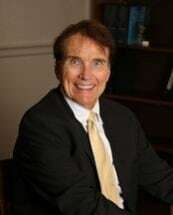 Upon graduation, Mr. Porter returned to Paintsville and has practiced law throughout Eastern Kentucky since that time. He is married to Diana Koppel Porter and is the father of two children, Brittany and Johnny.